Wow, Team GB is doing so well in the Olympics! It’s so much fun to see! I’m supporting so many countries, my own native Sweden, Team GB, USA, and then some individual athletes. Usain Bolt has been a pleasure to watch! The Japanese gymnasts! The marathon runners! Yes, I’ve really gotten into the Olympic spirit. I live quite close to central London, and the mood has just been fantastic. Everyone just seems happier, and you’re more likely to enter into random conversations with strangers, which is just fun. 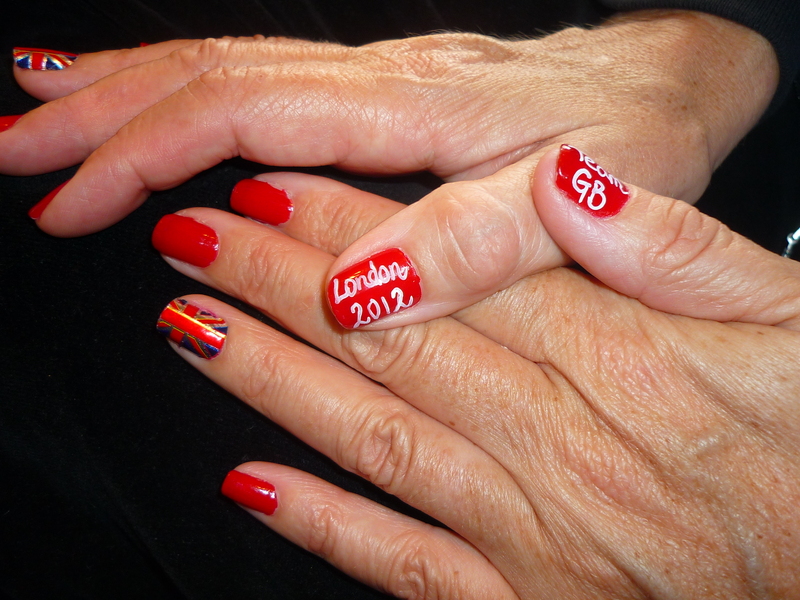 My nails over the past two weeks have been more generic Olympic-themed, but I thought I would give my mum a stylish Team GB manicure. She’s gotten quite a few compliments already! 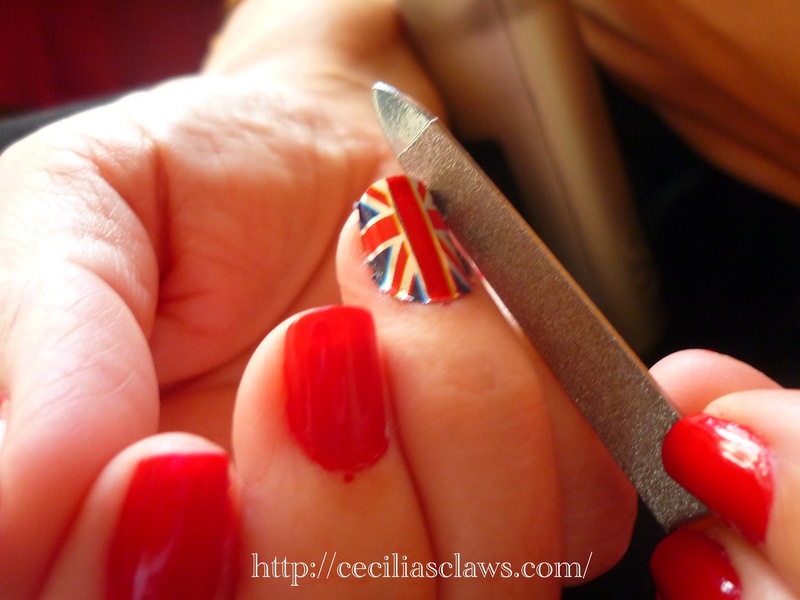 I had a few of the Union Jack nail foils left over from this manicure, and I knew they would come in handy again! 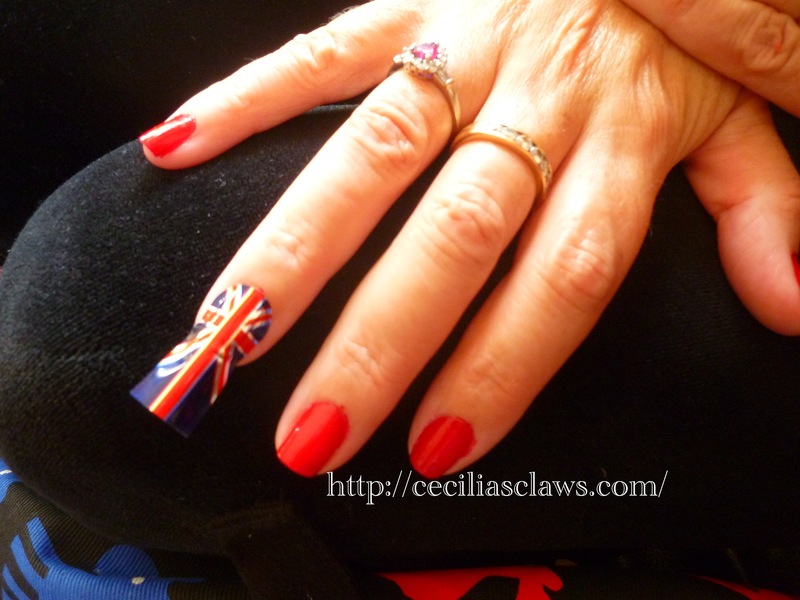 A few left over Union Jack nail foils, just the one on each hand can still create a dramatic effect. You wrap the foil on the nail, then carefully trim the edges. Even if the foils left over aren’t the exact right size, it’s not too difficult to file them down with a sharp nail file. 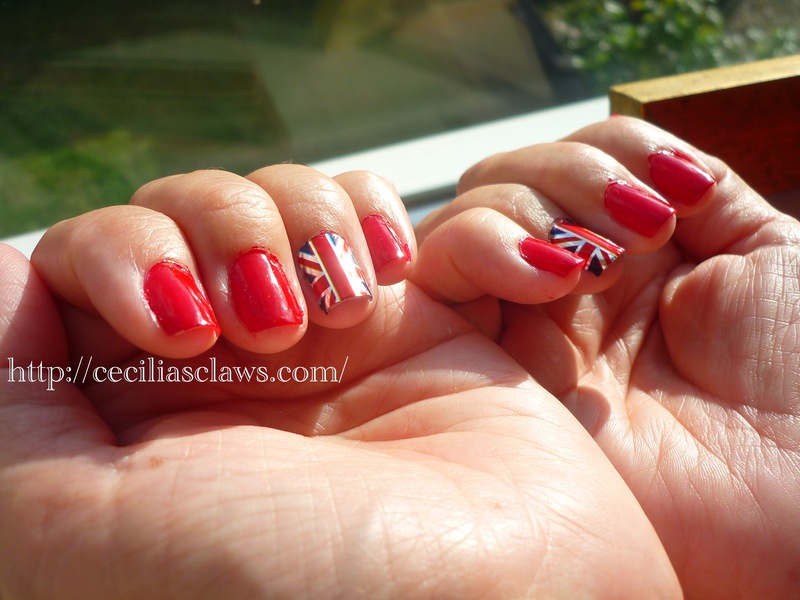 The finished Team GB look! The thumbs in detail. Go Team GB! Top coat: Seche Vite Dry Fast Top Coat, and I put a bit of nail glue on the edge of the foil to keep it from chipping.